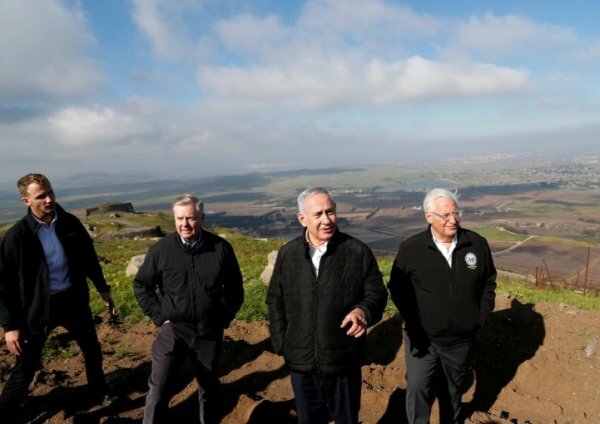 US President Donald Trump said on Thursday it was time to recognize Israeli sovereignty over the Golan Heights that Israel seized from Syria in 1967. 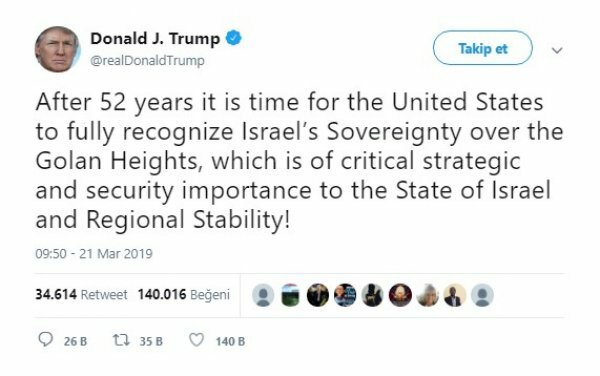 "I AM GRATEFUL TO MR. TRUMP"
Trump said in an interview that he did not intend his move as an explicit election boost for Netanyahu. “I hear he’s doing okay. I don’t know if he’s doing great right now, but I hear he’s doing okay. 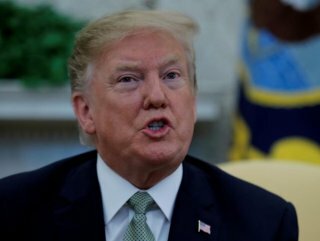 But I would imagine the other side, whoever’s against him, is also in favor of what I just did,” Trump said. 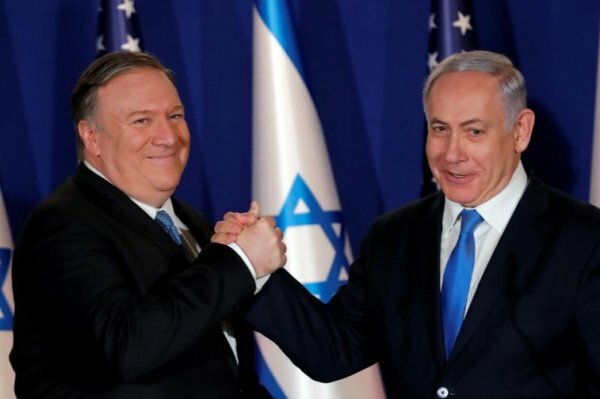 Netanyahu thanked Trump for the Golan Heights 'gesture'.